When I was young, someone gave us a book of fairy tales. These were not the Disney versions. They were the dark, original versions full of gore, people being killed and rising from the dead, Cinderella’s stepsisters having their eyes pecked out. Of course that instantly became my favourite book of fairy tales. No bowdlerization there! When you’re a kid, you’re always suspecting that something’s being kept from you – because it is – so when I encountered a book that held nothing back, I was delighted. It felt honest, and real. Plus, the villains were usually punished in appropriately graphic fashion. In a world full of unfairness, it was satisfying to read stories in which everything came out right and the bad guys got their just desserts. Philip Pullman (author of The Golden Compass) has re-told these stories, keeping in the gore but editing for clarity and concision. It’s a fabulous read. I read one story aloud to my daughters and they loved it too, so I might have to buy this (I confess I got this from the library) so they can read for themselves. 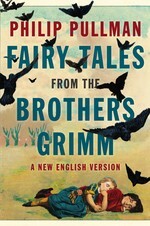 I tried to find an original Grimm’s fairy tales book for them (my mother having given away all the books of my youth!) but in these PC times, all you can find are extremely edited and saccharine versions. It’s sad. Kids know when something’s being sugar-coated and the modern versions are just so slack and pale. 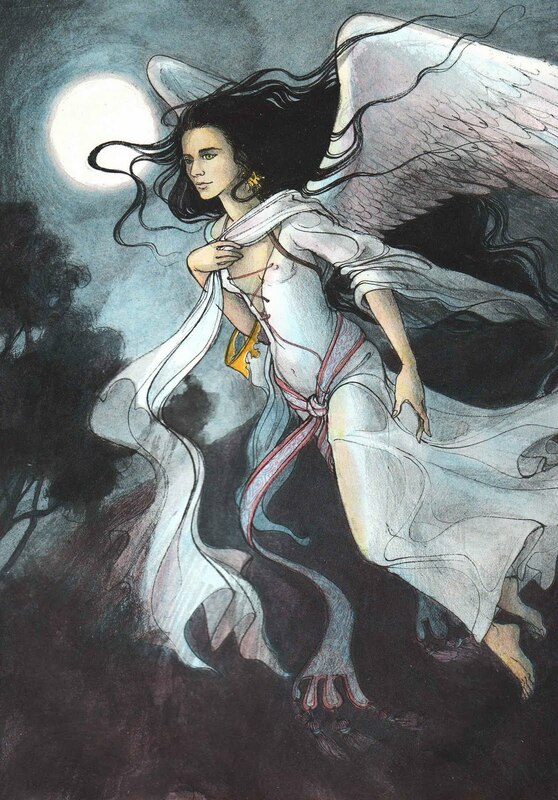 The fairy tale books we favour are those that at least have wonderfully dramatic illustrations. My favourite illustrator is Trina Schart Hyman, whose work illuminates and brings to life the wonderful fairy tale, King Stork by Howard Pyle. Back to Pullman: my favourite story in the original Grimm book is in Pullman’s book too! It’s The Goose Girl. A princess rides on her talking horse to marry a prince in a far land. On the way, her maidservant pulls off a coup of sorts, forcing the princess to change places with her and swear not to speak of it. The maidservant marries the prince and orders the horse killed for fear the horse will speak of her perfidy. The princess is made to herd geese and the horse’s head is mounted on the wall. The princess and the head converse from time to time and eventually things come to the attention of the prince, who tries to get the goose girl to speak of her troubles, but she has sworn not to and refuses. He tells her she can tell her troubles to the stove (!) as that would not be breaking her vow, and hides so he can eavesdrop on her. All is revealed. The goose girl is restored. The maidservant, who has apparently forgotten her own history, is asked what the punishment should be for a maid who has usurped her mistress’ place. Her verdict: the culprit should be put naked into a barrel studded with nails and dragged behind two white horses until dead. So that’s what they do. Awesome.